Another DC comic will soon get the small screen treatment as Fox has officially ordered a pilot for Lucifer. 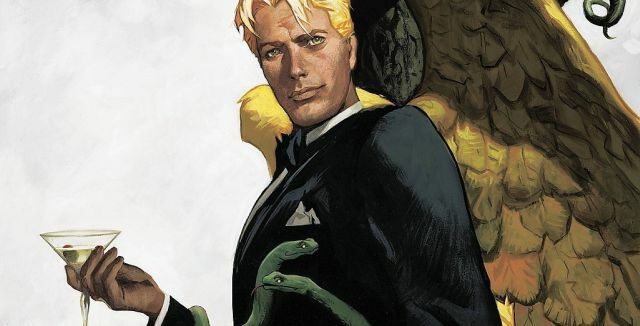 Inspired by John Milton’s Paradise Lost and spun from Neil Gaiman’s Sandman, Lucifer endured a 75 issue run of his own Vertigo series, which was initiated by writer Mike Carey. It’s being said that Sleepy Hollow co-creator and Underworld director Len Wiseman will “helm” the project, which probably means he will serve as showrunner. Prolific Hollywood producer Jerry Bruckheimer will be an executive producer. With Gotham being a hit for Fox, it’s no surprise that they are interested in bringing another DC property to their prime time lineup. I think Lucifer is an odd choice, but perhaps they want something other than another superhero show considering they are looking to bring the X-Men to television no earlier than 2016. Do keep in mind that a pilot order doesn’t necessarily guarantee a series order. The TV series centers on Lucifer, who, bored and unhappy as the Lord of Hell, resigns his throne and abandons his kingdom for the gorgeous, shimmering insanity of Los Angeles, where he gets his kicks helping the LAPD punish criminals.